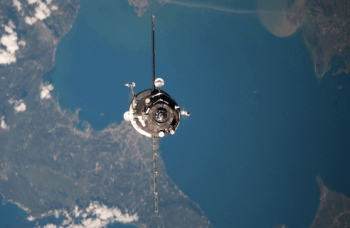 The orbit of the International Space Station (ISS) has been successfully reboosted by the Progress M-26M cargo vehicle on Monday, after aborting the first attempt. 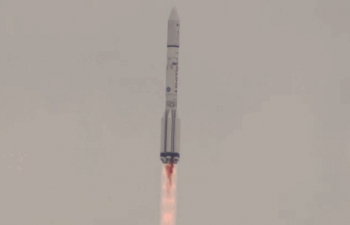 The initial reboost attempt occurred just hours before an unrelated Proton-M launch failed, as the Russian space agency struggles to overcome a string of failures that included the recent loss of the Progress M-27M vehicle. 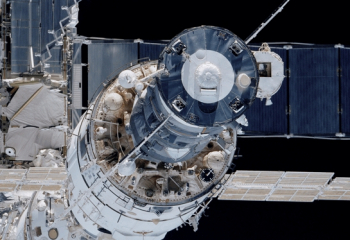 Reboosts of the Station’s altitude are required to counter the natural decay of the ISS’ orbit as it races around the planet. Although the Station is high above the heavens, there is still a very thin amount of air in the 220 mile orbit of the ISS, enough to provide a tiny amount of atmospheric drag that results – over time – in the Station losing some altitude while increasing velocity. Reboost events were commonplace during the Shuttle era, conducted via firings of the Reaction Control System (RCS) thrusters on the docked orbiters, providing a thank you present to the Station that was protecting and – in later years – feeding the orbiter during her stay. With reboosts required every couple of months, the Russian visiting vehicles would also chip in with the occasional push, a practice that has continued to this day, in tandem with Europe’s since-retired ATV craft. The Station also has a set of thrusters on the Zvezda module can be employed. However, they are mainly reserved for when a Visiting Vehicle can’t conduct the task, as the requirement of protecting the Station’s propellant stores is paramount. Future Visiting Vehicles, such as Boeing’s CST-100, are also being evaluated for potential reboost capabilities. For this latest reboost, it was the docked Progress M-26M’s job to give the Station a shove. This Progress arrived in February, enjoying a speedy six-hour launch-to-rendezvous mission to the orbital outpost. Located on the aft port of Zvezda, the Progress was supposed to fire up its engines on Saturday. “Planned burn duration is 15 minutes, 1 second with a Delta-V of 1.64 meters/second. This reboost, combined with a planned burn on June 7, targets phasing requirements for 41 Soyuz (41S) landing currently scheduled for June 11,” added ISS notes. According to Russian media reports, the problem related to the control system, as opposed to the propulsion elements of the vehicle. Although it may have been a translation issue on the Russian side, NASA has since noted the engines did fire, but aborted one second in. “A previous attempt on Friday evening was aborted one second into the burn automatically by the Progress vehicle,” NASA noted. “Russian flight controllers identified an issue with one of the eight thrusters on the spacecraft that was disabled for the backup attempt. News on Monday provided confirmation the Progress had overcome its problems and successfully conducted the reboost, firing up for 1,922 seconds just after midnight GMT. The issue with Progress M-26M gained additional media attention due to the notable problems the Russian space industry is suffering from of late. Another Progress – M-27M – was lost after a troublesome launch on a Soyuz 2-1A rocket. An investigation is currently ongoing, with a failure board checking over the specifics of the rocket that appears to be the main culprit at this stage – specifically the RD-0110 engine on the third stage. Progress M-27M spent several days in orbit, crippled and spinning, before finally succumbing to an uncontrolled destructive re-entry over the Pacific Ocean. ISS partners have since delayed the near-term schedule, pending the results of the investigation into the failure, delaying the departure of Terry Virts of NASA, Anton Shkaplerov of Roscosmos and Samantha Cristoforetti of the European Space Agency until June 11-12 – providing them with another month on the Station. Station managers also delayed the Soyuz TMA-17M launch – scheduled to loft Oleg Kononenko of Russia, Kimiya Yui of JAXA and Kjell Lindgren of NASA – until the middle of July. In an unrelated change, British space tourist Sarah Brightman opted to cancel her trip on the Soyuz TMA-18M vehicle due to personal reasons. However, this decision has no relation to the Progress M-27M woes, as it is understood she had already packed her bags and left the training center in Russia – before the Progress failure occurred. The Russians suffered another failure over the weekend when the International Launch Services (ILS) Proton-M rocket also suffered a third stage failure. The Proton-M was carrying the MexSat-1 (Centenario) communications satellite on what was supposed to be a multi-hour flight to its transfer orbit. However, this vehicle also suffered a third stage failure, resulting in the destruction of the third stage, Breeze-M upper stage and spacecraft during a destructive re-entry. There were reports of some surviving pieces of hardware falling south-east of Ulan-Ude close to the Mongolian border, with helicopters deployed to confirm the local reports. ILS and its partner Khrunichev are currently setting up a Failure Review Oversight Board (FROB). The FROB will review the commission’s final report and initiate a corrective action plan – as has been the scenario after other commercial and Russian government Proton-M failures. While Russia works through its issues, the Station has continued operations as normal. The Station crew have been kept busy with numerous tasks, including additional housekeeping operations, such as the Node 3 Carbon Dioxide Removal Assembly (CDRA) In Flight Maintenance (IFM) operations. 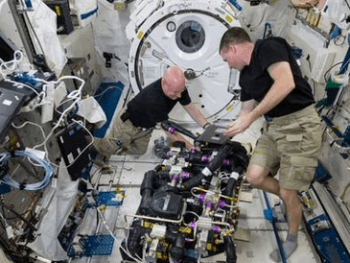 “The crew successfully replaced the Blower fan on the CDRA,” cited ISS notes. “Ground teams completed leak checks on beds 1 and 2 No leaks were detected on the vacuum side, however, data indicates a possible leak on the air side. 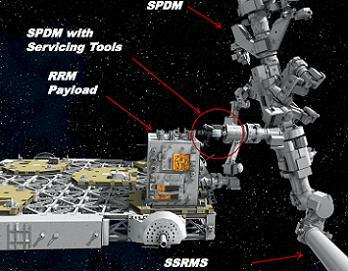 A large amount of work is also taking place on the outside of the Station, with Canada’s robotic assets enjoying a transition from work involving the exciting Robotic Refuelling Mission (RRM) objectives, into preparing for the unberthing for the CRS-6/SpX-6 Dragon this week. “Ground operators are currently stowing the Robot Micro Conical Tool (RMCT) 2 in the Tool Holder Assembly (THA),” added ISS notes. The latest SpaceX Dragon – unlike her Russian “colleagues” – has enjoyed another flawless mission since arriving at the Station in April. 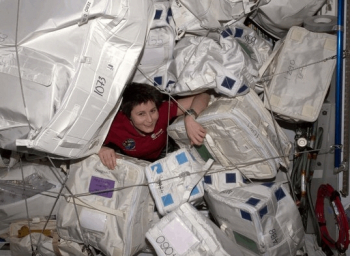 In preparation for Dragon’s departure, ESA astronaut Samantha Cristoforetti has been busy repacking the Dragon with downmass, which will be unloaded from the spacecraft shortly after being brought back to land. Dragon is set to be unberthed on May 21, ahead of a splashdown in the Pacific Ocean. The next Dragon to arrive at the Station – CRS-7 – is currently waiting to hear how she will fit into the changes to the upcoming ISS schedule. (Images: via L2, Roscosmos, ILS, NASA and ESA).